The FreeVis LASIK Center at the University Eye Clinic Mannheim has been offering eye laser surgery since 1993. 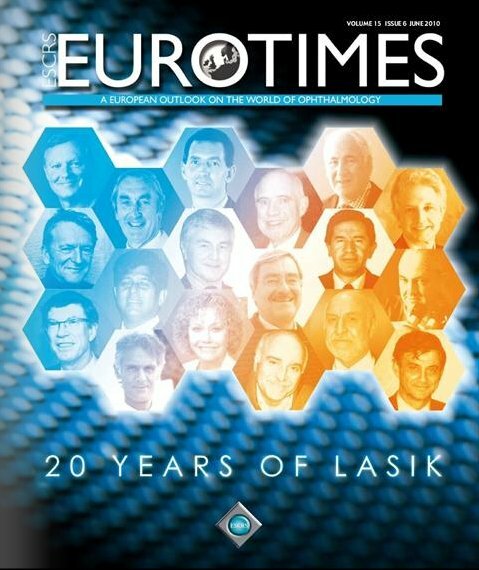 Profesor Michael Knorz was the first to perform LASIK in Germany in 1993, has been implanting phakic lenses since 1998 and is credited for introducing laser-assisted cataract surgery in Europe. 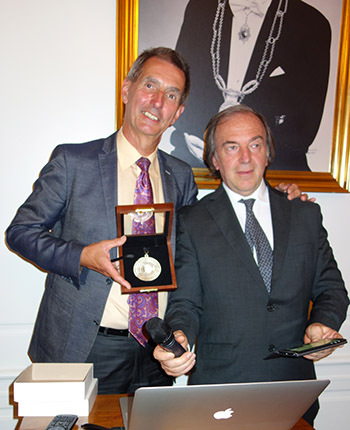 He has published over 50 peer-reviewed articles, 40 book chapters and 300 lectures, and has led more than 150 training courses for refractive surgeons. Academically, he is involved as a journal editor and co-founder of various organizations such as the Organization of German Specialty Clinics for Eye Laser and Refractive Surgery, the Commission of Refractive Surgery and the Global Refractive Surgery Educational Program of the International Society of Refractive Surgery. At FreeVis, we offer the entire spectrum of refractive procedures to treat short or distant vision problems, presbyopia and even complex refractive errors. FreeVis is proud to offer up-to-date technologies such as Femto-LASIK, laser-assisted lens surgery and SMILE, a new and innovative minmal invasive procedure using solely the Visumax femtosecond laser system. The success of the FreeVis LASIK Center is due, in no small part, to Professor Knorz's demand for high quality standards among his surgeons and staff as well as his constant striving for perfection for vision correction procedures. Professor Knorz is involved in all aspects of laser and refractive surgery from leadership organizations, training and education to the development of LASIK certifications and quality standards. 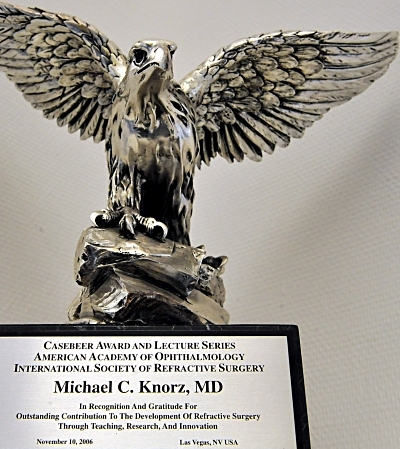 Professor Knorz' work has earned him numerous international awards and honors, among them the IIIC Medal of the International Intra-Ocular Implant Club, the Secretariat Award and Senior Achievement Award of the American Academy of Ophthalmology, the APACRS LIM Lecture Award as the highest honor of the Asia-Pacific Association of Cataract and Refractive Surgeons and the Casebeer Lecture Award of the International Society of Refractive Surgery. 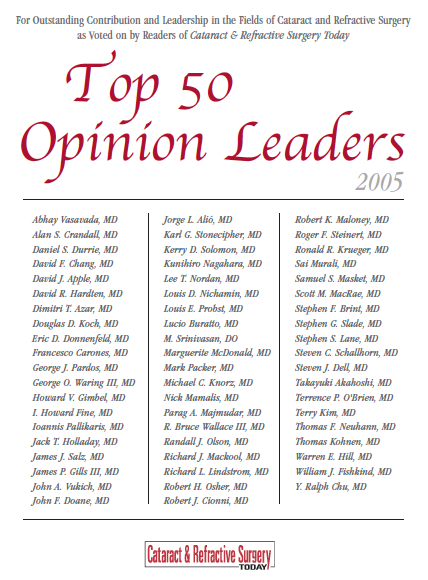 In 2005, colleagues and readers of Cataract & Refractive Surgery Today voted him a Top 50 Opinion Leader for his outstanding contribution and leadership in the fields of cataract and refractive surgery.